Much of our experience of cycling concerns struggle. Struggle to keep up. Struggle to keep going. Struggle to keep the bike going. When it comes to dealing with a recalcitrant velo, the number #1 item on the snagging list is the tyre and its ability to provide a safe ride without unwelcome deflation. Cycling is not new as a sport nor as a technology. Tubular tyres have been with us for over a century, clincher tyres nearly as long. In either case the tyre provides a tough flexible carcass covered with a tread layer that grips the road. The job of retaining the high pressure air on which the bike is suspended is delegated to a rubber inner tube hidden inside. Motor vehicles too are shod with clincher tyres but many decades ago, the automotive world abandoned the inner tube in favour of an airtight carcass sealed to a matching rim. This did away with the need for a rubber bag to seal the air inside the tyre. Tubeless tyres were born. Tubeless is ideal for vehicle tyres where relatively low air pressure is used inside a tough carcass that is removed and replaced by machinery. The necessary airtight seal is reliably achieved. By contrast, bicycle tyres have to be removed and replaced by hand, by untrained people, using lightweight tyre levers. Logically enough, the main inroad of tubeless into cycling so far is for off-road tyres which are robust and run at low air pressure, much like motor vehicle tyres. 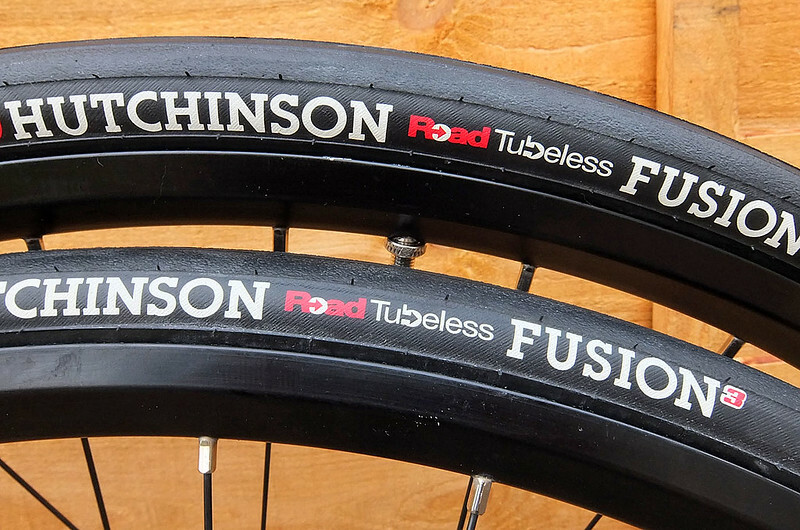 Nonetheless, tubeless for road bikes has been around for a while. The demands are tougher: the tyre has to be light and performant while maintaining a seal against high air pressure. Hutchinson is the company which is most committed to the technology and they have had an offering since 2006. The tubeless tyre carcass is airtight and the folding tyre bead is more pronounced and robust than on a traditional clincher tyre. Ideally the rim is helpfully shaped with an internal well to allow easy fitment and a shelf on either side on which the bead sits when the tyre inflates. Many wheels these days offer this rim internal profile and declare themselves to be ‘tubeless ready’, for example, a Shimano C24. The products are out there so why don’t you see tubeless tyres on people’s bikes? They are a rare sight. It could be, for the people whose mind it even crosses, that tubeless is seen as expensive to acquire, difficult to fit, requires the use of a mucky sealant, and won’t guarantee not to leave you stranded with an unfixable flat. The tubeless concept appealed to me though and I was curious as to what the reality was. I dived in and now I’m running tubeless on most of my wheels. That tubeless tyres are expensive is undeniably true. I’m not quite sure why this is and can only suppose that as a niche product there isn’t much retail price competition. Nevertheless I found a deal on a pair of Schwalbe Ultremo ZX tubeless in 23mm. 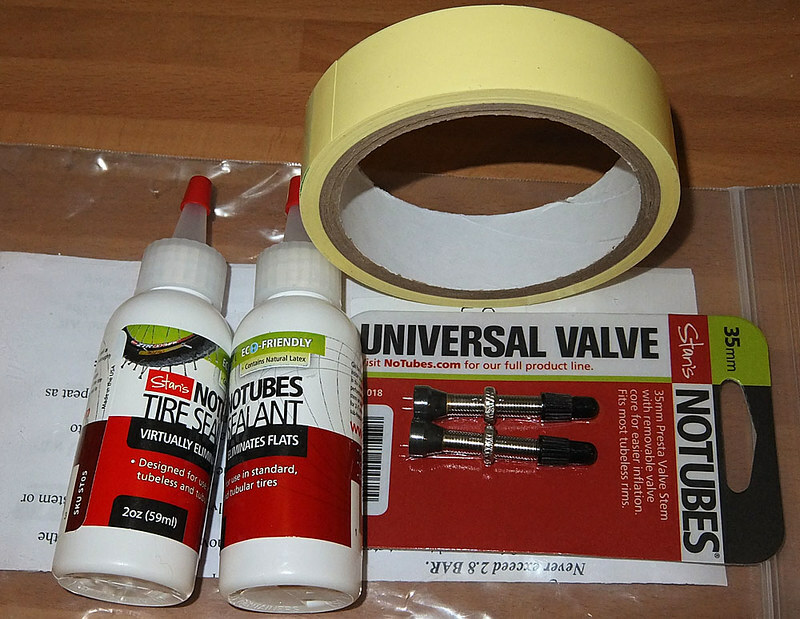 Some other essential kit arrived in the form of a pair of valves, tubeless tape and sealant. With tubeless the valve is a separate thing which must be retained firmly by a locknut. 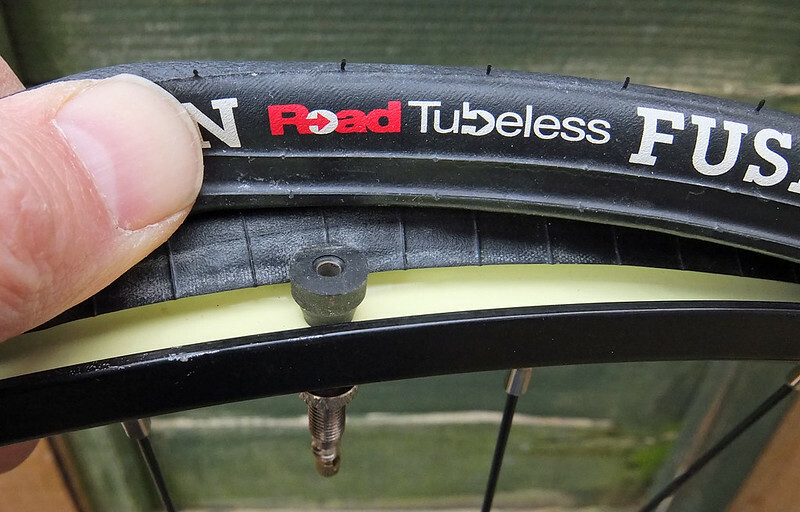 Tubeless tape is thin and non-stretchy and provides an airtight internal seal in the rim bed. Sealant is essentially an emulsion of rubber solution that is pushed by air pressure into any tiny air leak where it thickens and seals the leak. Sealant is the almost-literal secret sauce of tubeless technology and offers the glorious prospect of tyres that can seal themselves against punctures. Sealant is your friend. I also had some Doc Blue, a Schwalbe-branded bottle of soapy fluid. Wiped along the tyre bead at installation time this helps the bead seat onto the rim. With all necessary parts acquired, you can start. 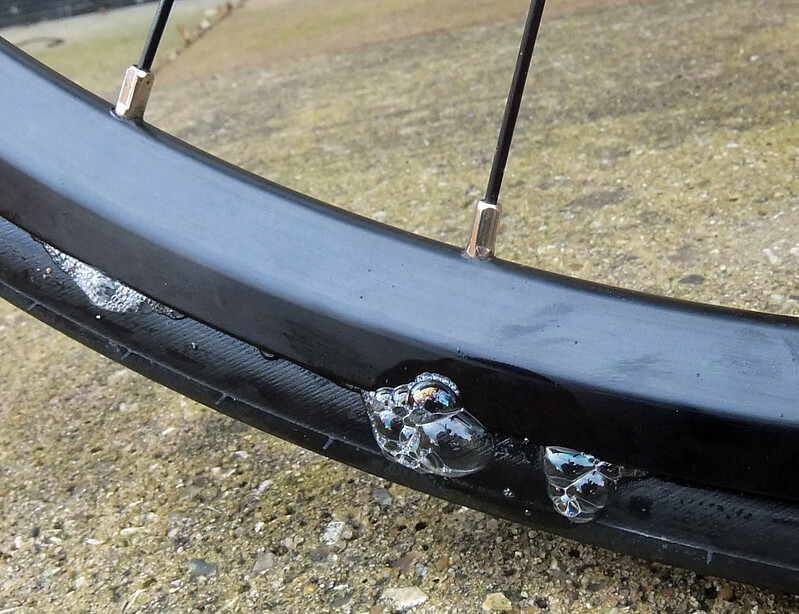 If your wheel has a sealed rim bed like the C24 pictured above you probably don’t need a layer of tubeless tape although it can still be useful in adjusting the fit of the tyre. Interestingly, with tubeless tape you can convert just about any rim to tubeless regardless of whether or not it claims to be tubeless ready. Conversion to tubeless involves putting down a layer of tubeless tape to cover the spoke holes. 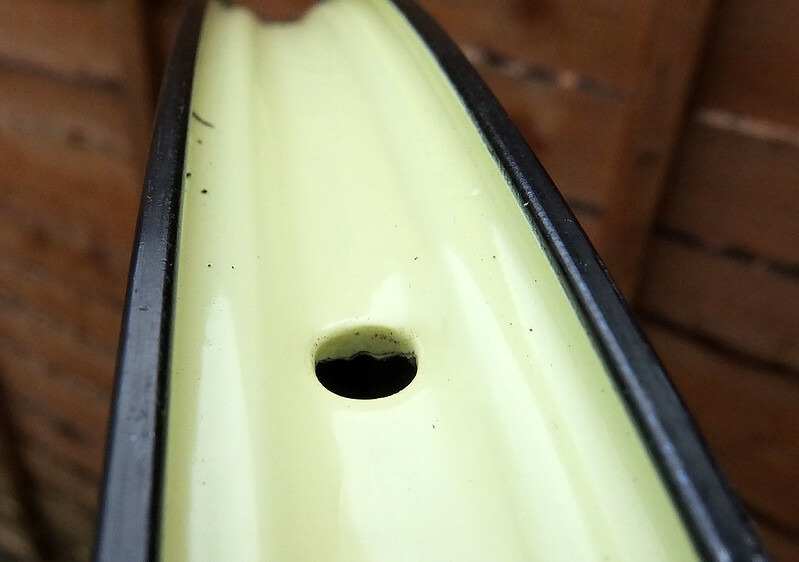 The tape is wide and extends up the inside of the hooked edge of the rim. The wheels I started with have a Velocity A23 rim which is slightly wider than a traditional road rim at 23mm. This requires tubeless tape in 25mm width. The tape being thin yet rigid you have to wiggle it side to side under tension to force it to sit into the rim. It does fit, completely filling the rim well. Next we poke a narrow hole through the tape at the valve hole. At this point it’s good practice to temporarily fit and inflate a conventional tyre and inner tube. 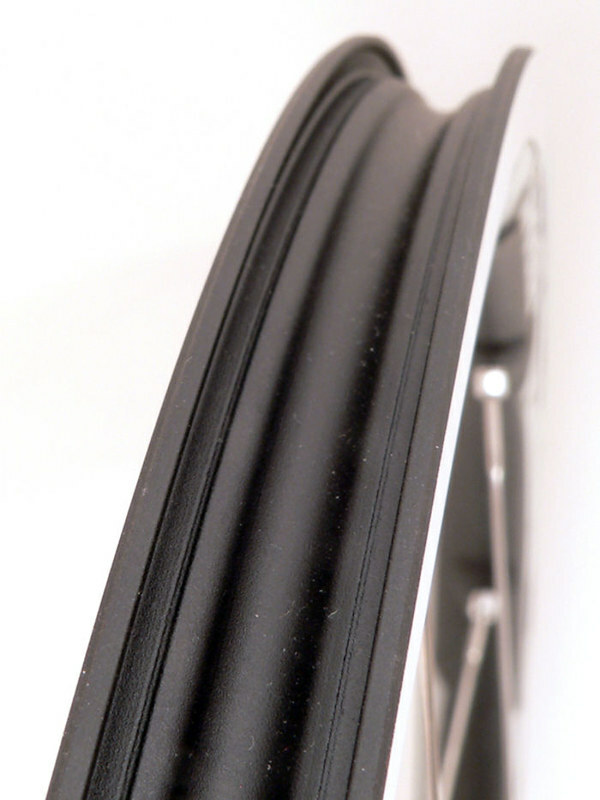 The air pressure forces the tubeless tape to conform exactly to the shape of the rim. This done, remove that tyre and tube. Now let’s go tubeless, starting by fitting the tubeless valve. It’s held in place by a threaded external collar. Fitting the tyre is the same as any other clincher although liable to be tight. The Doc Blue easy mount fluid wiped onto the beads is a useful help. Before completely fitting the second bead I poured in about 30ml of sealant at the side of the tyre then rotated it into the already seated tyre area. Don’t be doing this over your best flooring because there will be spillage. Now you can pop the last section of bead over the rim. I used a tyre lever for this, no worries about pinching an inner tube. Then comes the big moment – inflation. I was worried about this because the interweb is full of stories from people who struggled to inflate the tyre and recommend either an air compressor or CO2 cartridges, neither of which I had. The uninflated tyre has many places where air can escape and the idea is to blast air into the tyre faster than it can rush away. As soon as the tyre contains any pressure the beads squeeze against the rim bed and air retention rapidly improves. Here goes. I attached the track pump and pumped furiously. Air hissed out all round, the tyre did not inflate. Damn. The leakage seemed greatest at the valve so I tightened the valve collar more and shook the wheel while rotating it to make sure the interior was coated with sealant. I tried again. Suddenly the indicated pressure was climbing. Some sealant leaked at the valve and along the rim edges then... silence. I whacked it up to 120psi. The beads popped as they seated fully onto the rim. With more idea of how to proceed I got the second wheel up to pressure straight away. An hour later both wheels were sitting quietly with tyres at full pressure. 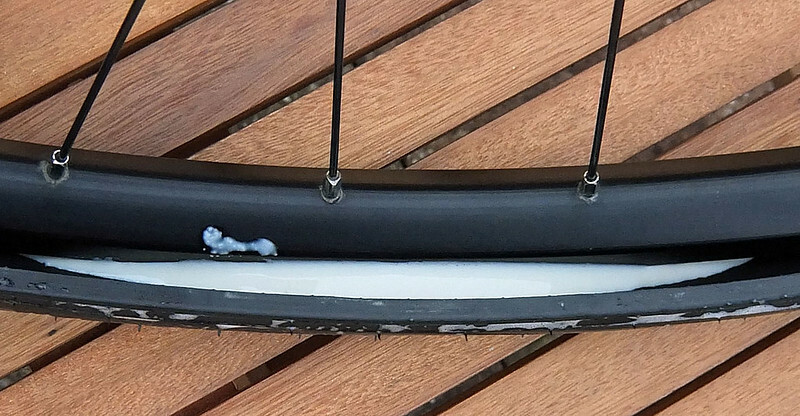 In another post I’ll discuss the real-world experience of using road tubeless. As we shall see, those worries I mentioned earlier do have some substance - but there are real advantages too. What I can say is that after decades of using inner tubes it feels thrillingly radical to fit tyres that simply don’t need an inner tube. And a thought to hold for 2015: Steven Abraham, the “one year time trial” cyclist who this year is attempting to improve Tommy Godwin’s 75,000 annual mileage record set in 1937, is rolling on… tubeless tyres.